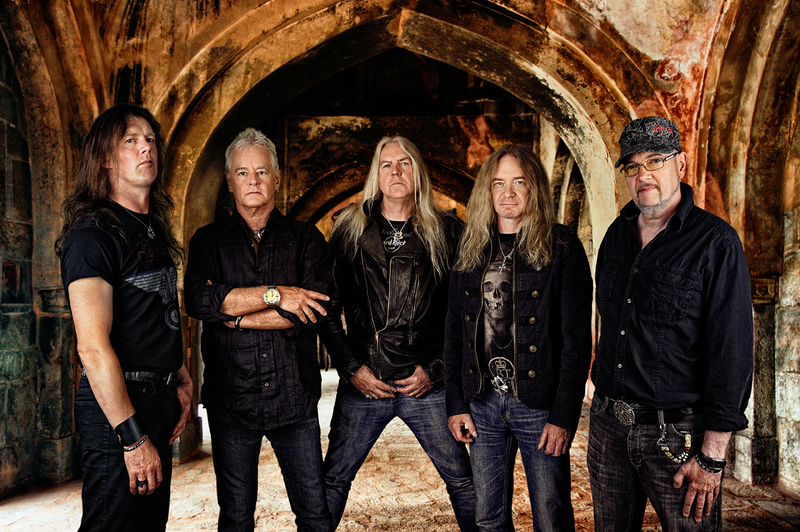 NEVER SURRENDER: Now pushing four decades of heavy metal thunder, Saxon continues releasing quality albums. ‘Sacrifice’ is a strong case in point. 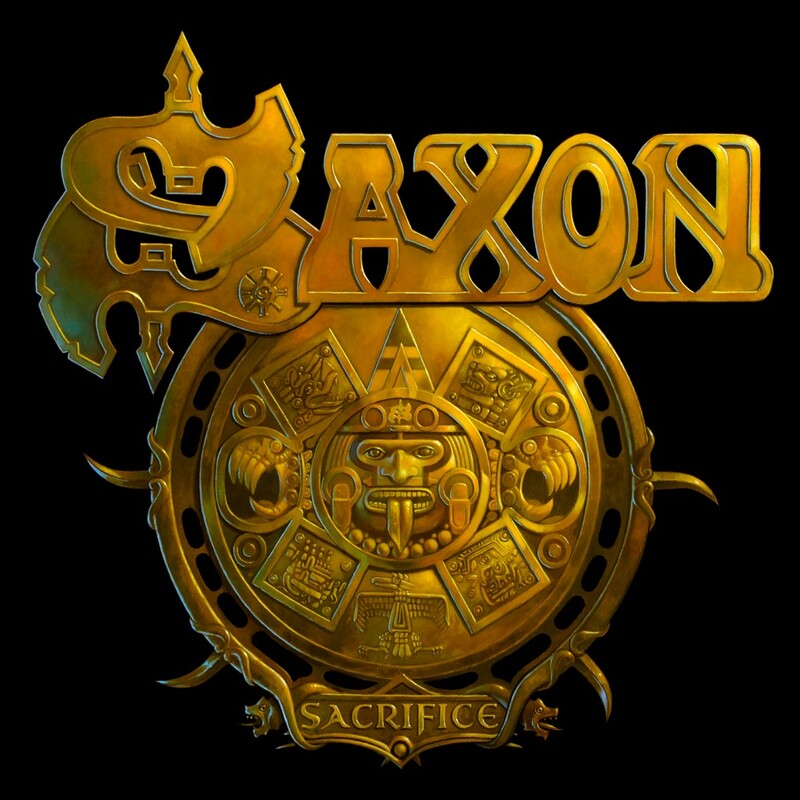 A jolting thrill ride of anthemic thrash and crunching, mid-tempo swagger, “Sacrifice” continues Saxon’s celebrated themes of rocking hard, riding free, working-class pride and warrior souls. Even better, it’s all sung-and-done in a vigorously efficient 10-song fashion that takes deadly aim at boredom (actually, it’s only nine songs, if you subtract the instrumental intro of “Procession”). Longtime fans will hear echoes of Saxon’s 1983 track “Nightmare” in “Night of the Wolves;” and in keeping with a tradition of nods to American history (see “Dallas 1 PM” and “The Eagle Has Landed”), “Walking the Steel” delivers a unique lyrical storyline on what otherwise could have been an overdone, rise-from-the-ashes 9/11-tribute. Not here. Led as always by vocally resilient 62-year-old singer Biff Byford, Saxon’s seasoned lineup continues with guitarist Paul Quinn (along with Byford, an original member), guitarist Doug Scarratt, bassist Nibbs Carter (a terror on stage) and drummer Nigel Glockler, who – as always – is a bewildering pleasure as his thundering feet and flailing fills threaten to steal the show. Rather than overstuffing a proper release with daze-inducing filler, “Sacrifice” includes a second bonus disc featuring five reworked versions of previous Saxon songs “Crusader,” (orchestrated), “Just Let Me Rock” (re-recorded), “Requiem” (acoustic), “Frozen Rainbow” (acoustic) and “Forever Free” (re-recorded). At a time when the more-is-more approach can often lull listeners to sleep, the take-it-or-leave-it, bonus disc-with-a-twist serves as a noteworthy counterpunch. Now 34 years and 20 albums deep into heavy metal’s history, Saxon proves with “Sacrifice” to be wholly capable troopers who can still deliver the goods. Nigel is on the road at the moment, but I ready him your review and he says Many Thanks for the kind words. Personally, i think this Saxon CD is the worst they have ever released, i have been following Saxon since they played Barnsley Town Hall late 1978, the proper Saxon to me is Byford, Gill, Dobson, Quinn and Oliver, and they released 3 fantastic LP’s, SAXON, WHEELS OF STEEL and Strong Arm of the Law, anything after those are just commercial rubbish, i was brought a ticket for Christmas 2 years ago and went to see them in Leeds, and i actually walked out, embarrassed, this is not Saxon, sorry if i offend people, but i am allowed an opinion. That’s killer getting that feedback Dave! So far only heard the title track, i will be getting hold of this CD. They hit Manchester on April 23rd along with The Quireboys!